Most Israeli citizens are not required to file annual income tax returns unless they are self-employed, have other passive income or wish to collect a refund on their charitable donations. US citizens living in Israel may also be required to file annual income tax returns to the Israeli tax authority. 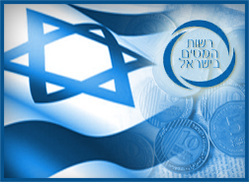 The U.S.-Israel tax treaty, however, eliminates or reduces the impact of double taxation (generally, via a foreign tax credit or reduced withholding taxes). (see U.S.-Israeli tax treaty).